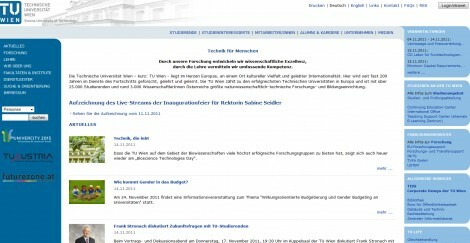 The Vienna University of Technology will participate with the Electronic Commerce Group, which is part of the Institute of Software Technology and Interactive Systems (ISIS) and deals with rapid changes of economic and social processes as a result of electronic business and electronic commerce. It analysis enterprises and their processes as well as the entire market, and it is active in creating ideas and solutions that meet the demands of the respective stakeholders. The group follows two research streams: In the B2B domain business (processes) modelling and consequently the definition, specification and implementation of ebusiness systems are at the focus of its research. Here it combines semantic web research with Service-Oriented Architectures (SOA); especially the derivation of web service choreographies from business process models (with emphasis is on collaborative business processes). A further focus is on workflow management and the transformation of process flows to workflow descriptions. And in the domain of semantic web it looks at ontology engineering and information integration. In the B2C domain the group looks at new interaction paradigm using 3D environments as well as mobile applications. Here special emphasis is given to application domains such as etourism.